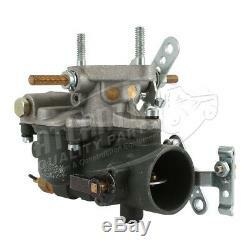 Zenith Style Replacement Carburetor for Massey Ferguson 12522 181643M1 181644M91. 12522 181643M1 181644M91 517903M1, 517903M91 539715M91 761301M91 TSX101, TSX102 TSX113 TSX114 TSX119 TSX120, TSX126 TSX128 TSX13 TSX132 TSX132A, TSX133 TSX134 TSX136 TSX137 TSX138. Complete Tractor Carburetors Complete Tractor keeps you working in the field with engineer-tested fuel system components for tractors. We work directly with factories to ensure each component is manufactured to our exacting quality control standards that meet genuine OEM specifications. But because there is no middleman, we can offer these exceptional-quality fuel-system components at low factory direct prices that are up to 30% off typical OEM prices. With Complete Tractor fuel system products, youll get. OEM Quality Every Time Our aftermarket fuel system components deliver performance thats equivalent to the ones made by OEM suppliers. Direct-Fit OEM Replacement Parts Complete Tractor aftermarket fuel system components are designed for perfect fitment to replace the ones that originally came in your tractor. Engineer-Tested Excellence Our fuel system components go through a rigorous testing program to ensure optimal performance. Reasons to choose Complete Tractor for your next carburetor. Every unit comes with a mounting gasket for quick and easy installation. Adjusted and tuned so that its preset to factory standards. 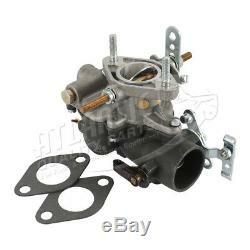 Brand new carburetor not a secondhand refurbished one. Yes, you have a full year to make sure your fuel system components perform to your expectations. 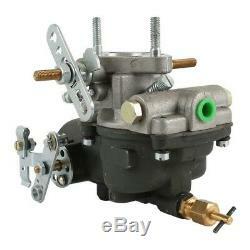 Note : Zenith style replacement carb. Bolt spacing: 2 5/16 C to C. Can be used to replace various Marvel Schebler & Carter carbs. Allis Chalmers : Carbs and Kits. Unless otherwise specified in the item listing on our website, on the receipt or packing slip, or in the following terms, Complete Tractor will accept qualified and conforming products for replacement for the period of 1 (one) year. Condition and free from damage of any type, including, but not limited to dents, scratches, cracks, abuse, defacement or indication of removed screws/fasteners or seals. Complete Tractor shall not be held liable for packages lost in transit. The customer may use this label to return the item to Complete Tractor free of charge. After the item is received by Complete Tractor for processing, Complete Tractor will send out a replacement unit. If you have a problem, we will take every step to assist you. This listing is currently undergoing maintenance, we apologise for any inconvenience caused. The item "Zenith Style Replacement Carburetor for Massey Ferguson 12522 181643M1 181644M91" is in sale since Tuesday, July 25, 2017. This item is in the category "Business & Industrial\Heavy Equipment, Parts & Attachments\Heavy Equipment Parts & Accessories\Tractor Parts". The seller is "completetractor" and is located in AR, CA, FL, IA, MA, MI, MN, OH, PA, TN.